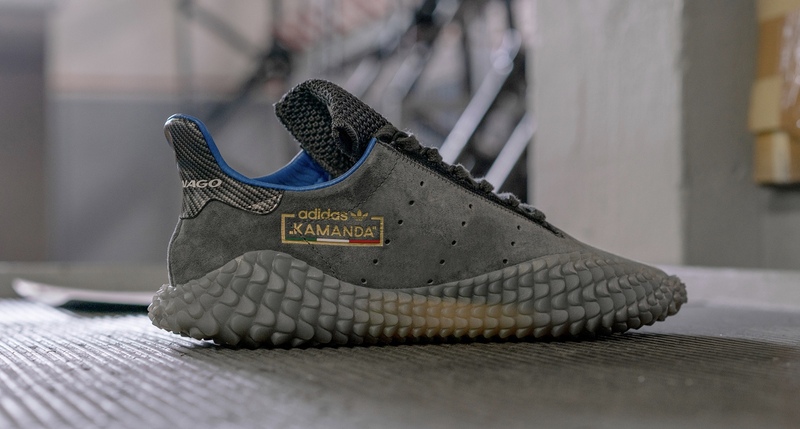 Colnago and Adidas have partnered to create a collection of special edition footwear that harks back to the 1970’s and 1980’s. “Classicism meets forward thinking – two drivers that led both Adolf and Ernesto to where they are now; with worldwide success and world class athletes joining them along the way”, says Adidas. The collection consists of two models representing different ends of the spectrum. The Kamanda, a design experiment inspired by football fans’ favorite styles of the 80’s, and the Trimm Star, released in 1985 as a lightweight training shoe. Both shoes are finished in Pellegrini Italian leather. 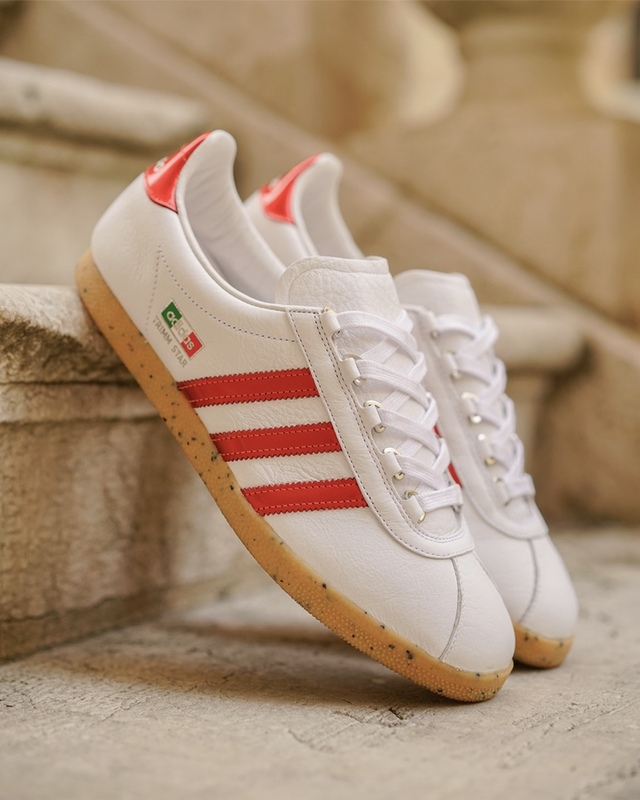 The Trimm Star outsole is made out of recycled rubber to imitate the tires of a classic 70’s racing bike, while a glossy metallic finish on the stripes and heeltab is taken from the Saronni red stripes on the classic Colnago paint job. 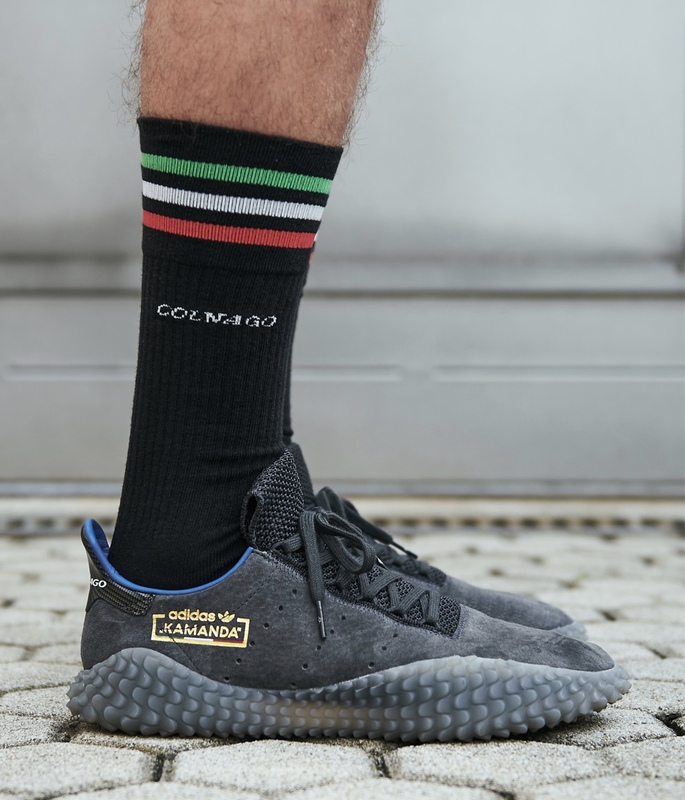 The outsole on the forward-thinking Kamanda is transparent to show the carbon fiber effect reflecting the modern Colnago bikes, and the upper is finished up in a premium suede. German visionary Adolf Dassler, launched adidas in 1949. Starting his empire by making shoes in his mothers laundry room in Herzogenaurach, Dassler’s drive and motivation to innovate the field of athletic shoe design led Adidas to be the global sportswear brand that it is today. Just 3 years later, across the border in 1952, Colnago was founded by entrepreneur of great intuition Ernesto Colnago. The Italian firm has become a byword for quality and understated style, stamping a significant mark on Italian design and engineering history. Colnago has a self proclaimed mission of wanting to create “only beautiful things”. 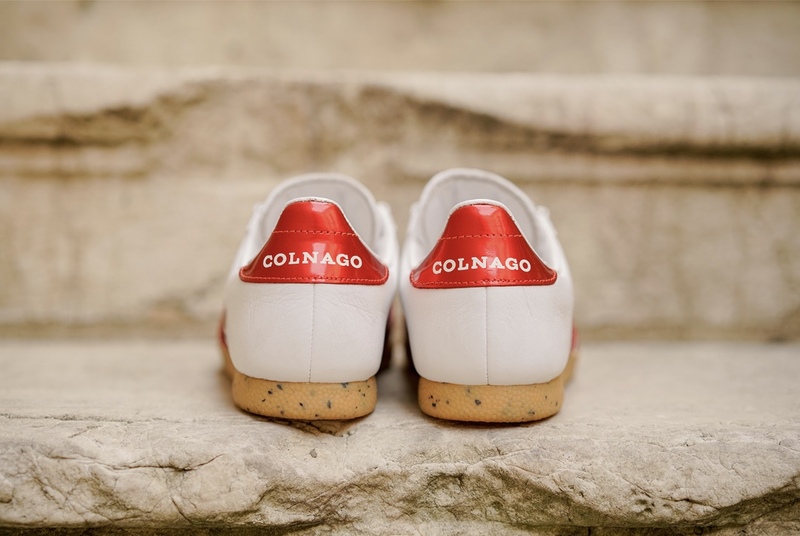 Both Dassler and Colnago relied on product innovation and endorsements with their nations best up and coming athletes to drive home their unique message. Even though their category focus was different, the values of both entrepreneurs are matched closely. The Colnago x Adidas collection will be available online starting on December 29, with the Trimm Star priced at £90, and the Kamanda priced at £120.